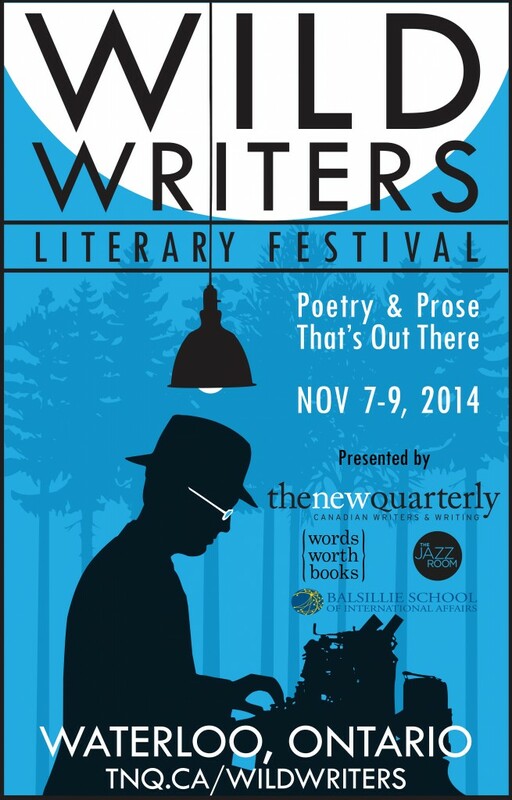 Words Worth Books is very pleased to be part of the third WILD WRITERS LITERARY FESTIVAL. In previous years, Terry Fallis, Elizabeth Hay, Wayne Johnston, Helen Humphreys and a plethora of Canada's best writers have all been part of the festival since its inception in 2012. On Friday, November 7, The New Quarterly is welcoming Anne Marie Macdonald (Adult Onset) and Emma Donoghue (Frog Music) to Waterloo to open the festival. That’s at 7 pm at the CIGI Campus Auditorium at 67 Erb St. W at the corner of Erb and Caroline St. The CBC’s Craig Norris will be in conversation with Anne Marie Macdonald and Emma Donoghue. It promises to be a fine evening and a great start to the festival. Tickets for Friday night are $5.00 or free with purchase of either of the above books at Words Worth. The Saturday program includes panel discussions and craft classes as well as readings from some of the best writers in the country. Any aspiring writer will want to be in the room to glean from those-in-the-know as to how good writing happens, and the panel gets better every year. Dave will be speaking with a couple favourite crime writers on Saturday afternoon. John McFetridge has been a favourite of his for years with his Elmore Leonard-like take on urban Ontario. With his new book, Black Rock, he’s in his native Montreal during the FLQ crisis in 1970. This is the first in the Eddie Dougherty series. Ian Hamilton is also along this year, author of the great Ava Lee crime series. His new one, The King of Shanghai comes out in about six weeks, and the moment it shows up, any other reading moves over. Ian’s a natural storyteller with an explosive and mercurial character in Ava. That’s at CIGI at 1.30 pm Saturday. Wild Writers Panel: Fiction or Non-fiction - Choosing the Best Way to Tell a Story featuring Carry Snyder, Kathleen Winter, Kathy Page & Alison Pick. Wild Writers Panel: Occasional Verse featuring Mary Todkill, Suzanne Nussey & Anita Lahey. Things continue at The Jazz Room on Saturday the 8th, at 7 pm with Michael Redhill joining Ray Robertson and Stacey May Fowles for an evening of fun and discussion around the Gendering of Literature: Boys and Girls and Books. Finally, the Sunday brunch the following morning at Entertaining Elements in downtown Kitchener starts at 10:00am. This is an opportunity to dine with the Governor General Award nominee Michael Crummey along with Alison Pick and another favourite around here, K.D Miller. Coffee with the authors will be followed by Entertaining Element's signature artisanal buffet. The writers will talk about their latest work, the writing process, and life as a writer. Intimate, casual, engaging-- an ideal way to spend a Sunday morning. Words Worth Books is betting on your predictive skills around this year's Giller and Governor General's Literary Prizes. Simply guess the winner from BOTH short-lists and you'll be entered in a draw for a copy of each winning book (or a gift certificate of equal value). The Giller Prize will be revealed on November 10, and the Governor General's Award for fiction will be announced on November 18. Ian Hamilton Prize Pack of Awesome!!! In addition to these books is a hardcover & slipcased, limited edition, autographed copy of the prequel: "The Dragon Head of Hong Kong". There were only 100 copies of this book made; this is number 56. Some of you may know that Ian Hamilton is among our favourite authors, but did you know that House of Anansi Press is among our favourite publishers? They started in 1967 as a small press founded by Dennis Lee (Alligator Pie) and Dave Godfrey (The New Ancestors). They have a proven knack for finding and developing new Canadian talent and we'd like to thank them for their incredible generosity and unflagging support of independent booksellers everywhere! To win this mindblowingly awesome prize, respond in the comments field with the title or author of another of your favourite Anansi or Groundwood books. The winner will be chosen at random on Monday, May 26. 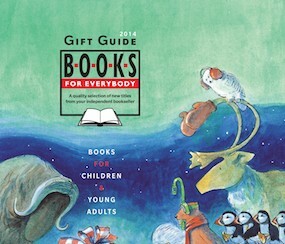 Words Worth Books Celebrates 30 Years! On Saturday, May 10, 2014, Words Worth Books will celebrate 30 years in business as a vital cultural and social fixture at the heart of Waterloo Region.